Those are Kevin ‘KB’ Bartlett’s words describing the last moments of the unique Brabham BT43’s racing career at Sandown Park, Australia on the 9th of September 1979 as found in the book “F5000 Thunder – The Titans of Road Racing 1970 to 1981” by Ray Bell and Tony Loxley. The photo above is of the Chevrolet powered Brabham BT43 Formula 5000 car taken outside the Brabham factory in New Haw near Weybridge, Surrey, UK on the day it was completed by Bob Paton, one of the team who helped build it almost exactly six years earlier. The car was the brain child of temporary Brabham owner Ron Tauranac before he sold Motor Racing Developments, the trading name of the Brabham Team, on to Bernie Ecclestone in 1972. 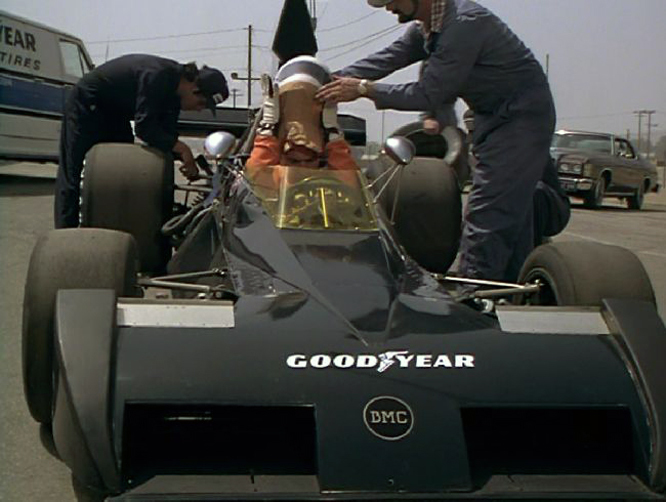 The job of designing the BT43 was left to Geoff Ferris, best known for designing a successful line of Penske’s that won one Formula One race and dominated the the Indy 500 and CART Indycar championships of the late 1970’s and early 1980’s. 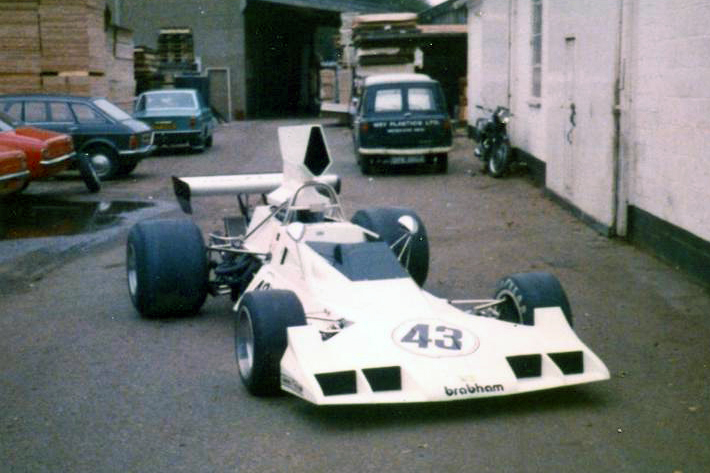 The BT43 was based around a Geoff Ferris designed 1973 Formula 2 BT40 chassis , with foam filled triangular deformable sides as first seen on the Gordon Murray designed 1973 BT42 Formula One car, with a sub frame at the back of the monocoque to carry the unstressed 5 litre / 302 cui Chevrolet V8. The car was first tested by John Watson “on a wet and misty day at Silverstone”, after John had given the car a ‘significant hammering’ it was determined that the nose did not live up to it’s purposeful looks when it came to generating down force. Photo Copyright Greg Falconer use arranged courtesy Ray Bell. 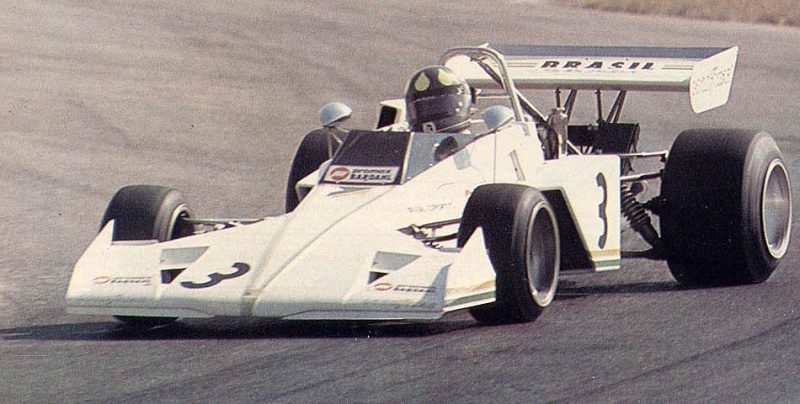 Martin Birrane was the first man to race the BT43 in 1974, but he only recorded two retirements and one failure to qualify (DNQ). Brett Lunger crashed the car at Brands Hatch in his first drive in it a Brands Hatch and Chris Craft followed that up with a 7th place finish at Brands two months later in October 1974. Brett was back in the car twice at the beginning of 1975 failing to start at Brands and retiring at Silverstone. The cars next appearance was in an obscure 1978 film called The Betsy staring Tommy Lee Jones who’s character Angelo Perino drove the car in a sequence I have yet to see. 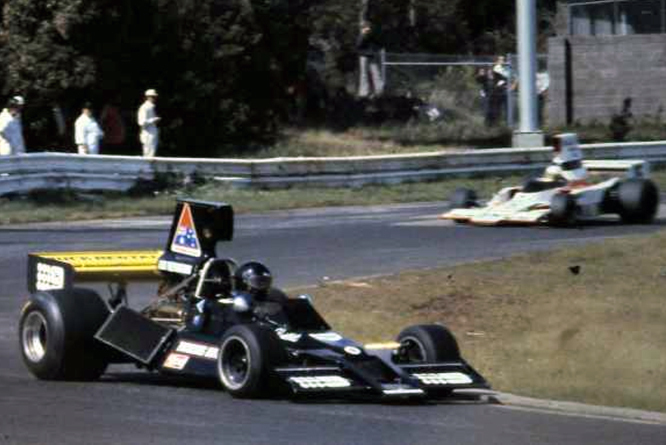 By now the car was owned by Chuck Jones who sent it to Australia for Kevin Bartlett to use in the 1978 season, Kevin finished 3rd in the 1978 Australian Drivers’ Championship with the BT43 finishing a season best 2nd at Oran Park. 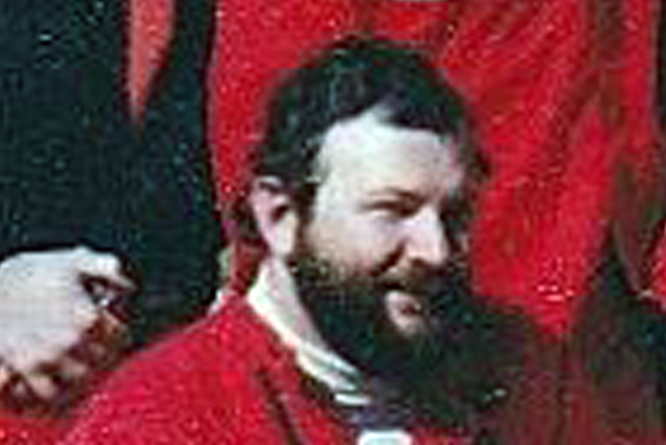 Colin Bond took over the driving duties for the four consecutive February meetings of the Australian 1979 season with his only result being a 4th place at Oran Park. Kevin then took a deposit on the car and raced it at the fateful meeting at Sandown Park described in the opening paragraph. While Kevin was recuperating the Australian authorities wanted either the duty due on the now wrecked car or for it to exported, the new owner who had only paid the deposit sent it on to a ‘friend’ in the UK before disappearing. The ‘friend’ in the UK refused to pay the shipping cost and until September last year it was believed the unique albeit damaged car had been dumped in the Thames after the storage costs had far exceeded it’s worth. However in September last year almost 40 years after Bob Paton took the photo at the top of this post the 34 year mystery of the whereabouts of the BT43/1 were conclusively resolved when Sandy400e came forward and revealed that the BT43/1 had not been dumped in the Thames at all on The Nostalgia Forum. Sandy revealed that he had been working at Overseas Containers Ltd in 1980 when he got wind of a car waiting to be scrapped on their dock. After inspecting the car, essentially a wreck with some bits missing already he bought it for £30. Not knowing exactly what he was dealing with he disposed of the damaged engine and various bit’s and pieces to friends and enthusiasts over several years and believing chassis tub to be beyond repair and of no intrinsic value sent it to a scrap metal merchant. 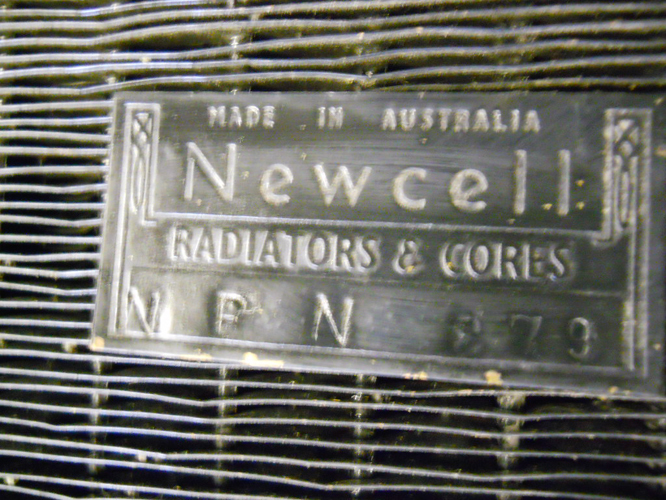 After finding the only remaining items, two Australian made Newcell radiators, in his loft one afternoon last September Sandy did a bit of research on the internet and soon realised the wrecked car he had bought for £30 in 1980 was in fact the long lost Brabham BT43. 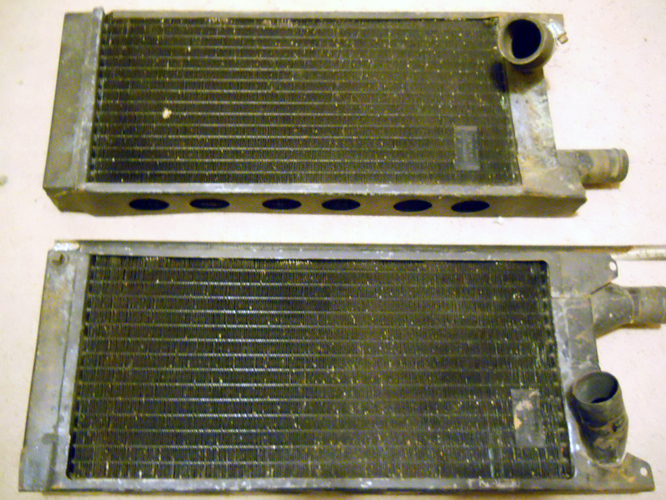 Kevin Bartlett confirmed that the radiators Sandy had found in his loft were those he had fixed to the back of the monocoque, when he fitted the chisel nose to the front of the BT43 in an effort to generate more front end down force, prior to the cars last race as seen in the third photo above. Note the Brabham BT43 was never conceived or converted to Formula One specification, there is a myth that it was which appears to have roots in an erroneous article that appeared in Racing Car News in February 1978 on page 44. My thanks to Bob Paton, Ray Bell, Allied Artists Picture Corp, Sandy400e for the use of their images and text from “F5000 Thunder – The Titans of Road Racing 1970 to 1981” by Ray Bell and Tony Loxley and to every one else who contributed to the “The strange tale of the F5000 Brabham BT43” thread at The Nostalgia Forum. 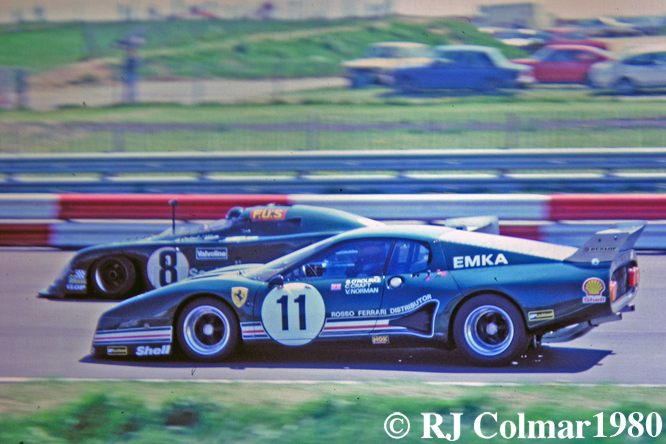 Next Sunday I’ll be looking at the Lola that can be seen following Kevin in the Brabham in the third photo above. Thanks for joining me on this ‘Firey Derek Reed’ edition of “Gettin’ a li’l psycho on tyres” I hope you will join me again tomorrow for Maserati Monday. Don’t forget to come back now ! … firey Derek Reed who stood above a very hot motor and the stricken Kevin Bartlett in order to drag Kevin out, in the event that a fire should break out while Kevin was being cut out of the wreckage of the BT43. This entry was posted in Uncategorized and tagged Allied Artists Picture Corp, Bartlett, Bell, Birrane, Bond, Brabham, BT43, Chevrolet, Chuck Jones, Colmar, Craft, Ecclestone, F5000 Thunder, Falconer, Ferris, Loxley, Lunger, Murray, New Haw, Paton, Perino, Psychoontyres, Ralph, Reed, Sandy400e, Tauranac, The Betsy, Tommy Lee Jones, Watson on December 7, 2014 by Ralph. 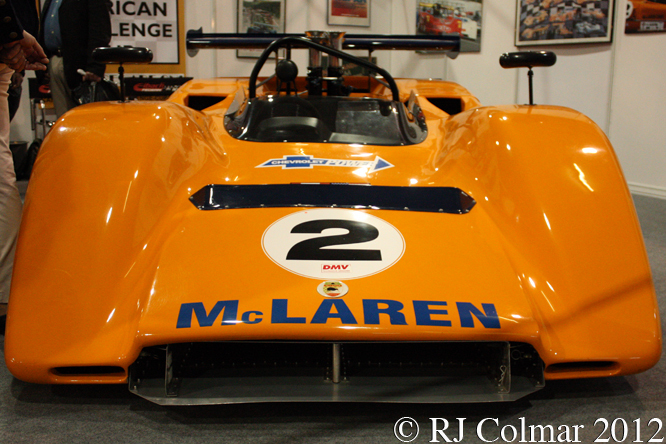 The 1969 season saw the Canadian American Challenge expand to an eleven race series, the most run in any year of the challenge, but only the McLaren Cars Team cars with New Zealanders Bruce McLaren and Denny Hulme recorded wins. 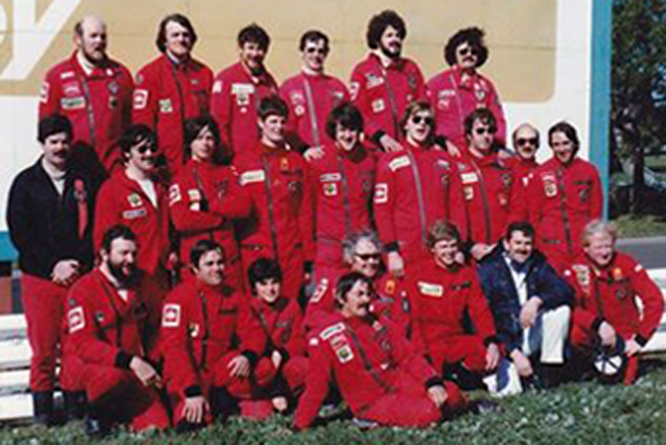 Bruce won six of the races driving his McLaren M8B and with Denny recording the remaining five. For 1970 McLaren Cars updated the M8B to a design known as the M8D while offering a production version of the M8B built by Trojan known as the M8C, of the type featured today. Confusingly Trojan also built 15 McLaren M12’s featuring updated M6 chassis running with M8 size wheels and adapted M8 bodywork in 1969. The most successful exponent of the customer M8C in the 1970 Can Am Challenge was Canadian Roger McCaig who recorded 3 5th place finishes and an eventual 10th place in the 1970 Challenge standings. Lothar Motschenbacher who drove one of the 1969 Mclaren M8B’s, a 1969 McLaren M12 and an M8C during the 1970 Can Am Challenge recorded one 5th place in his M8C at the last race of the season to finish a distant 2nd in the 1970 Can Am Challenge, to Denny Hulme who won 6 of the ten 1970 Can Am races in his M8D to secure his second Can Am Championship. 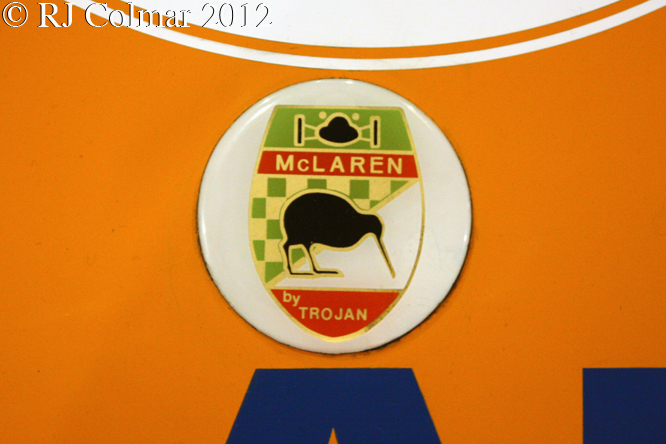 According to the Bruce McLaren Trust website Trojan built 15 M8C’s which were also raced in Europe and South American series. The Ford Cosworth DFV powered M8C driven by Chris Craft won the 1970 Swedish Grand Prix run for sports cars including a couple of Porsche 917K’s. The most successful McLaren M8C appears to have been chassis #70-08 which was driven to three victories in Argentina by; Nasif Estéfano at Buenos Aeries in April 1971, Carlos Pairetti at Buenos Aeries in August 1971 and Osvaldo López at San Martin in March 1973. The car was listed on each occasion as being powered by a Ford motor. The only other in period victory recorded for an M8C is the Chevrolet example driven by Siegfried Rieger at Hockenheim in November 1971, his car featured an M12 chassis with M8C bodywork. The last ‘in period’ race recorded for any M8C, thought to be for today’s featured car M8C #30-25, was driven by Richard Dotkins at an Interserie event run at Zolder in August 1992, where the car finished 6th in Heat 2. Since then #30-25, which would never have run in the works McLaren Traffic Yellow colour scheme as seen here, is thought to have recorded at least 5 race victories in sundry (primarily classic/historic) events through the 1990’s; 2 by Richard Dotkins, 2 by Richard Eyre and 1 by Geoff Farmer. The #30 series chassis number of the car would more normally be associated with a space/tube frame Trojan built McLaren M1B. 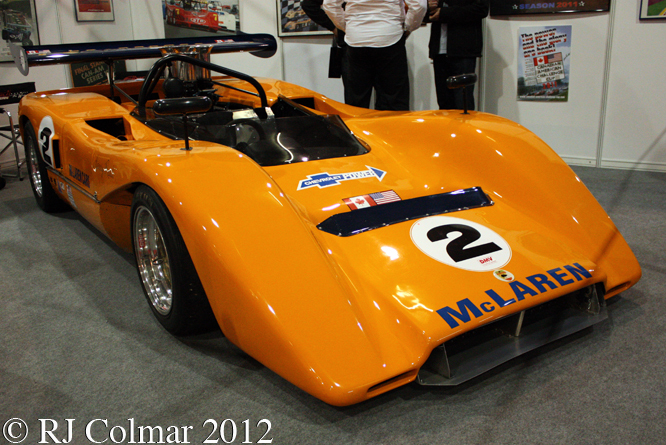 The history of McLaren M1B #30-25 is, like the history of M8C/D #30-25 prior to 1992, also unknown at the time of writing. 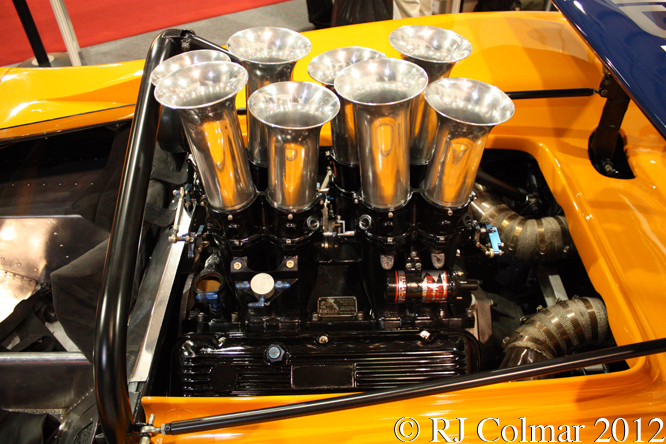 The car featured to day was seen at Race Retro and is raced by Harry Reed. My thanks to raceanouncer2003, Belmondo, David McKinney and Duncan Fox at The Nostalgia Forum for their help in identifying today’s car and it’s history. Thanks for joining me on this “Traffic Light Yellow Customer Racer” edition of “Gettin’ a li’l psycho on tyres” I hope you will join me again tomorrow when I’ll be looking at a Can Am BRM. Don’t forget to come back now ! This entry was posted in Uncategorized and tagged Can Am, Car, Challenge, Chevrolet, Colmar, Cosworth, Craft, DFV, Dotkins, Estéfano, Eyre, Farmer, Ford, GALPOT, Group 7, López, M1B, M8C, McCaig, McLaren, Motschenbacher, Pairetti, Race Retro, Racing, Ralph, Reed, Rieger, Sport, Trojan on August 18, 2013 by Ralph. In 1974 Niki Lauda tested a prototype Ferrari 312 PB in preparation for the 1974 World Sports Car Championship and when Enzo asked him what he thought Niki is alleged to have said something to the effect that if Mr Ferrari wanted to win the Grand Prix World Championship he ought to forget about the prototype 312PB. Enzo seems to have concurred with his new drivers opinion and his cars were never to contest the World Sports Car Championship during his lifetime again. 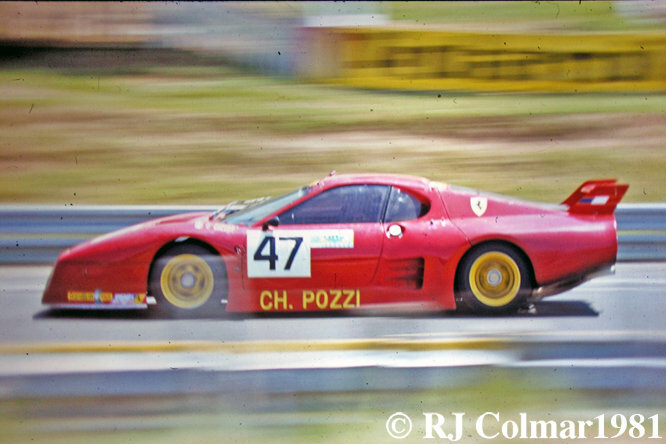 However many privateers never tired of entering Ferrari’s in the World Sports Car Championships lesser IMSA classes and today we will be looking at the fortunes of 3 privateer Ferrari 512 BBs that I was lucky enough to see in the early 80’s. The Ferrari 512 BB was an update of the 365 GT4 BB we looked at last week. Introduced in 1976 the 512 featured an enlarged 360 hp 4942 cc / 301 cui 180 degree 12 cylinder engine with a 9.2:1 compression ratio and dry sump engine lubrication which is ideal for the higher cornering forces experienced in racing cars. 929 examples of the 512 BB were made before the 512i BB was introduced in 1981. 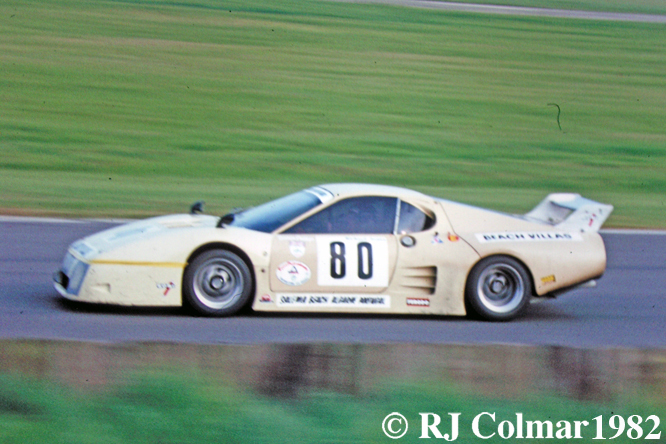 512 BB / LM #27577 1980 Silverstone 6 Hours, O’Rourke/Craft/Norman Q18 F 7th o/a 2nd IMSA, those with an interest in all things musical might recognise EMKA and Steve O’Rourke in connection with Pink Floyd whom Steve is credited as managing post Syd Barrat, Nick Mason was listed to drive the #11 but didn’t, after Steve died in 1994 Nick acquired this car to join his 250 GTO. On the inside you can just make out the winning #8 De Cadenet – Ford driven by Alain De Cadenet (seen here) and Desiré Wilson who I believe a couple of weeks earlier became the first female to win a World Championship race of any kind in the same De Cadenet – Ford with the same co-driver at Monza. 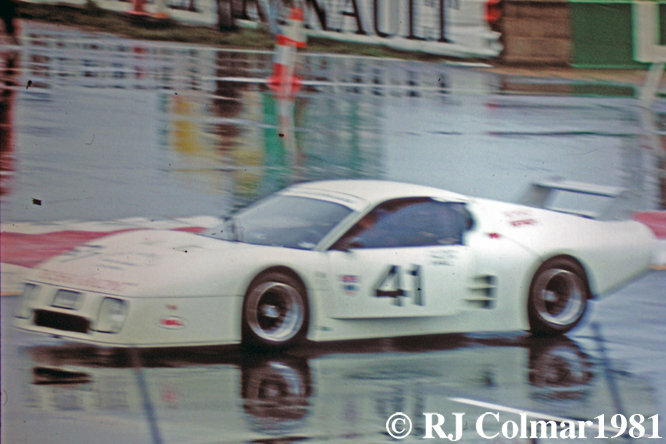 512 BB / LM #35523 1981 Silverstone 6 Hours, Phillips/Salmaon/Earle Q25 DNF (Flat battery) A not untypical horribly wet and cold day at Silverstone the race was won by a Porsche 935 which will be the subject of a future blog. 512 BB / LM #31589 Andruet/Ballot-Léna 1981 Le Mans 24 hours, Q 37th, F 5th o/a 1st in IMSA GTX, my first holiday abroad alone was always going to be to go see the Le Mans 24 hours and I was not disappointed. Bell & Ickx won and there was an entertaining battle between 5 of these 512 BB’s for much of the race, though all but one other did not finish. 512 BB / LM #35523 1982 Silverstone 6 Hours, Phillips/Earle/Jones Q34, F 17th, regrettably this was the last time I saw the 512’s on the track, these fabulous sounding machines continued to be raced until 1985. 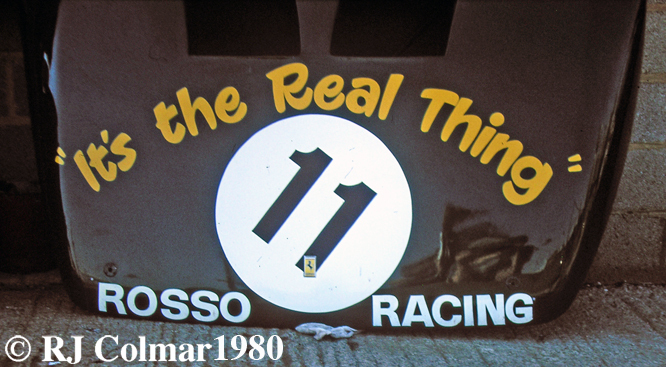 Hope you have enjoyed today’s ‘It’s The Real Thing’ edition of ‘Gettin’ a lil’ psycho on tyres’ and that you will join me again tomorrow for a look at some Porsches from Thompson CT in the first day of my first Porsche week. Don’t forget to come back now ! 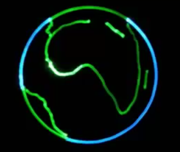 This entry was posted in Uncategorized and tagged 512, Andruet, Art, Ballot-Lena, BB, Craft, Earl, Ferrari, Jones, Lauda, Norman, O'Rourke, Phillips, Psycho, Salmaon, Tidesco, Tyres, Wilson on January 21, 2011 by psychoontyres.